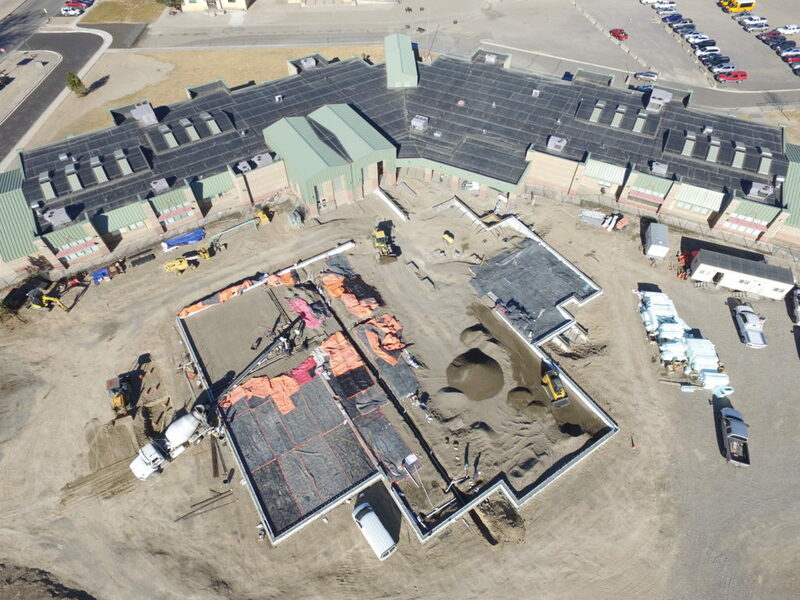 First Slab Pour at Delta Middle School | Kissner GC, Inc.
Today the first slab of the Delta Middle School addition got poured! Grab and drag the 360-degree image below to get an on-site view of the action. In the image below, you can see how the band and choir rooms looked yesterday. Cement blankets covered the pour area to keep the ground from freezing. The band and choir rooms are on the west side of the addition. 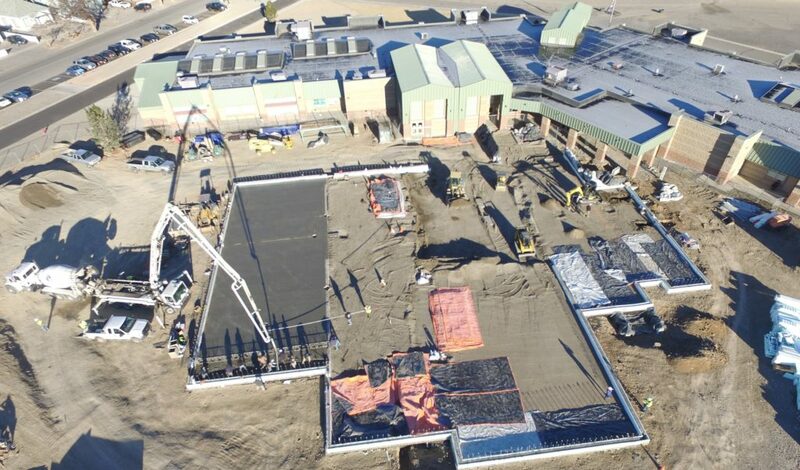 The following image is an aerial shot of the cement slab being poured today. 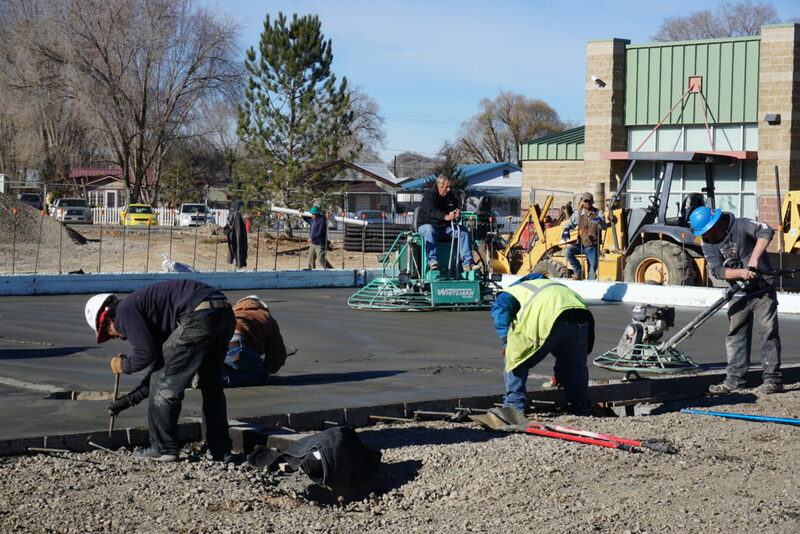 After the cement is poured and leveled by hand, a concrete power trowel goes over it to ensure a smooth finish. I know: I wish we could call it a concrete Zamboni too. 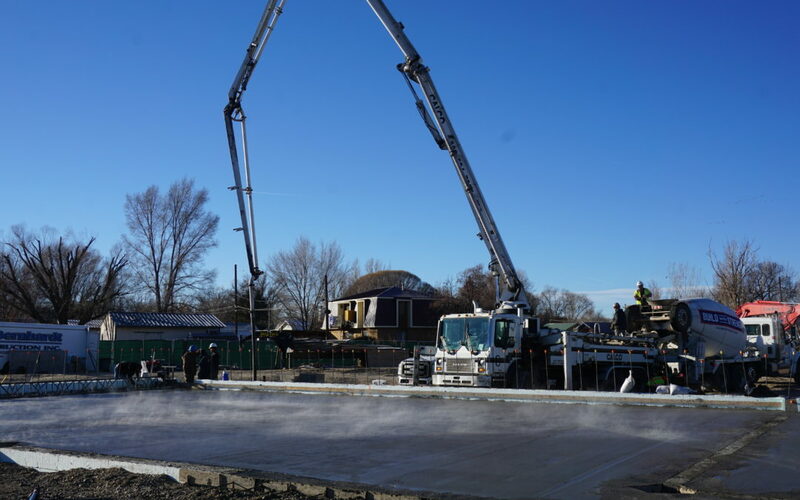 Watch for more slabs to be poured next week!